It offers high-performance, great security features and a modular design. 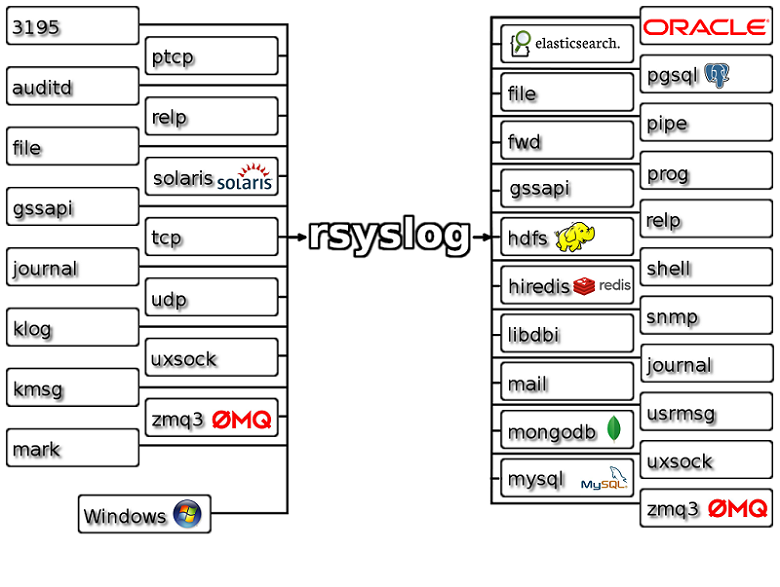 While it started as a regular syslogd, rsyslog has evolved into a kind of swiss army knife of logging, being able to accept inputs from a wide variety of sources, transform them, and output to the results to diverse destinations. RSYSLOG can deliver over one million messages per second to local destinations when limited processing is applied. Even with remote destinations and more elaborate processing the performance is usually considered “stunning”.